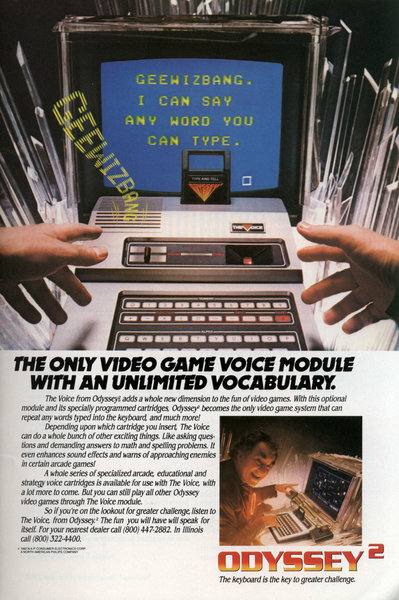 The Voice from Odyssey 2 adds a whole new dimension to the fun of video games. With this optional module and its specially programmed cartridges, Odyssey 2 becomes the only video game system that can repeat any words typed into the keyboard, and much more! Depending upon which cartridge you insert The Voice can do a whole bunch of other exciting things. Like asking questions and demanding answers to math and spelling problems. It even enhances sound effects and warns of approaching enemies in certain arcade games! The Keyboard! It makes the fun go further with Odyssey2 than any other video game. The keyboard lets you program mazes and grids. 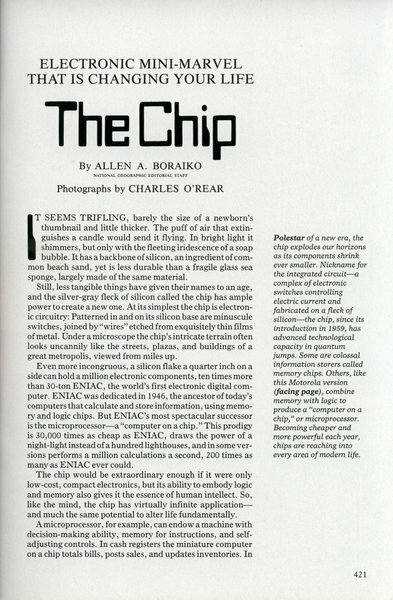 Type numbers and letters on the screen. Increase skill levels. It even lets you change opponents and fields of play! 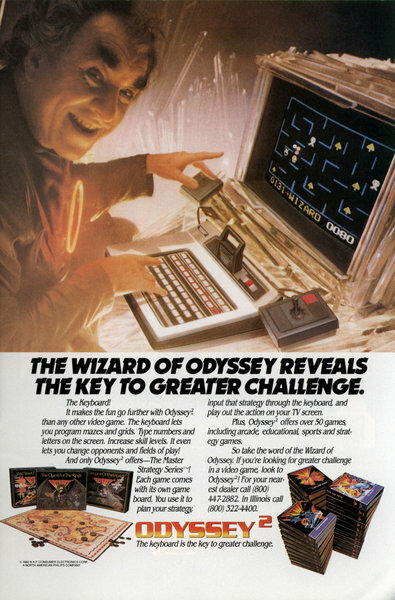 And only Odyssey2 offers—The Master Strategy Series! Each game comes with its own game board. You use it to plan your strategy. 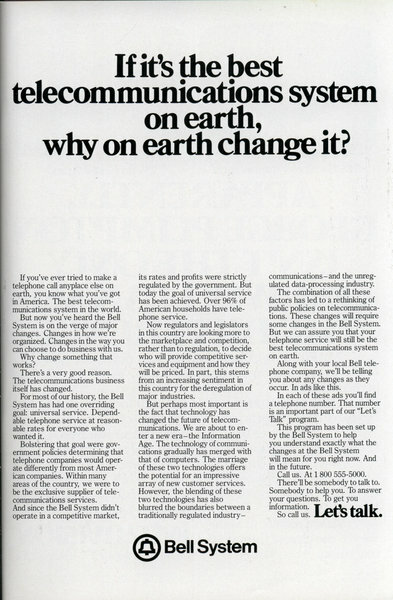 If it's the best telecommunications system on earth, why on earth change it? 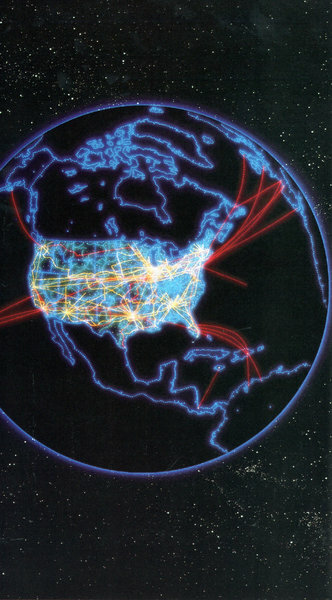 If you've ever tried to make a telephone call anyplace else on earth, you know what you've got in America. The best telecommunications system in the world. 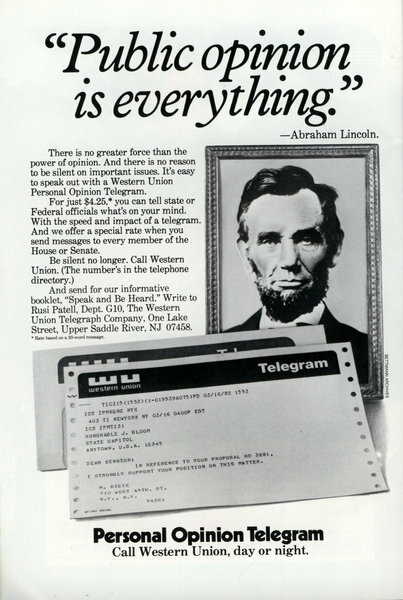 But now you've heard the Bell System is on the verge of major changes. Changes in how we're organized. Changes in the way you can choose to do business with us. By MOIRA JOHNSTON Photographs by CHARLES O'REAR SILICON VALLEY appears on no map, but this former California prune patch, an hour's drive south of San Francisco, is the heartland of an electronics revolution that may prove as far-reaching as the industrial revolution of the 19th century. It is a place where fast fortunes are made, corporate head-hunting is profitable sport, and seven-day workweeks send cutting-edge technology tumbling over itself in its competitive rush to the marketplace. Not surprisingly, flying—fast, challenging, and risky—is a sport that appeals powerfully to Silicon Valley men such as Bob Noyce, who snatches every chance to fly his twin-engine Turbo Commander to Aspen to ski, to his Intel plant in Phoenix, or just to wheel in the sky around Silicon Valley. By ALLEN A. BORAIKO, NATIONAL GEOGRAPHIC EDITORIAL STAFF Photographs by CHARLES O'REAR IT SEEMS TRIFLING, barely the size of a newborn's thumbnail and little thicker. The puff of air that extinguishes a candle would send it flying. In bright light it shimmers, but only with the fleeting iridescence of a soap bubble. It has a backbone of silicon, an ingredient of common beach sand, yet is less durable than a fragile glass sea sponge, largely made of the same material. 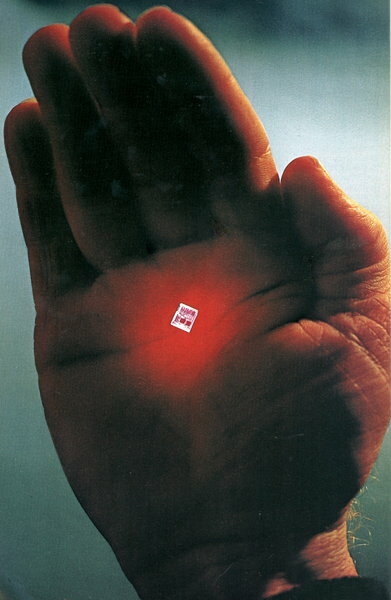 Still, less tangible things have given their names to an age, and the silver-gray fleck of silicon called the chip has ample power to create a new one. 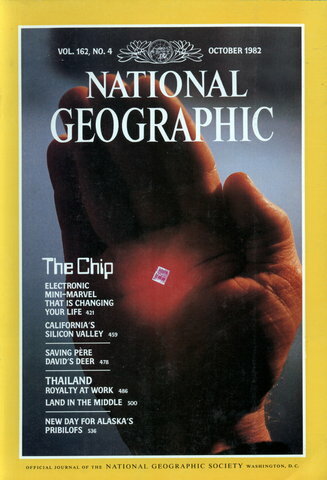 At its simplest the chip is electronic circuitry: Patterned in and on its silicon base are minuscule switches, joined by "wires" etched from exquisitely thin films of metal. Under a microscope the chip's intricate terrain often looks uncannily like the streets, plazas, and buildings of a great metropolis, viewed from miles up. 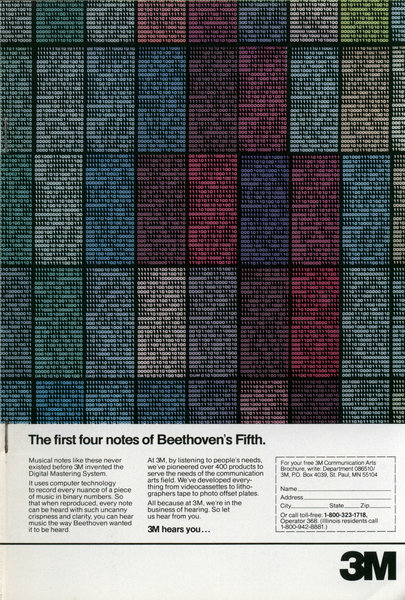 The first four notes of Beethoven's Fifth.